We often get questions about the pricing of our designs and what is involved in their production. The price points on our designs have such a varied range due to the nature of the material and how labor intensive it is to convert something from its original purpose into something new and different. 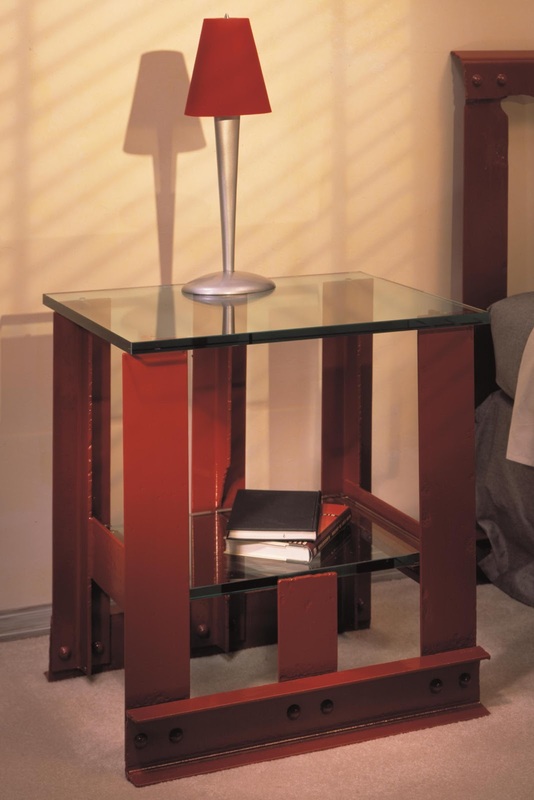 The larger designs, such as the Night Table, are crafted from 100% Golden Gate Bridge steel, using large amounts of the historic handrail. This makes them much heavier and more costly to produce. Our newer designs use smaller amounts of Golden Gate Bridge handrail, incorporating new pieces of steel for the cross-members. This makes the pieces lighter and lowers the production costs. new Side Table which incorporates new pieces of steel for the cross-members. Another reason why our production costs are higher than some may expect is due to the efforts we go through to make sure the materials used in our products are made in America. The Golden Gate Bridge itself is an American made wonder that was built using American materials and labor. The steel used to construct the bridge was forged and fabricated by the Bethlehem Steel Corporation on the East Coast, shipped through the Panama Canal, and installed on the Golden Gate Bridge during its construction in the 1930s. In fact, on many of our pieces you will find the letters “B S C” stamped into the steel by the manufacturer from when the material was originally produced. 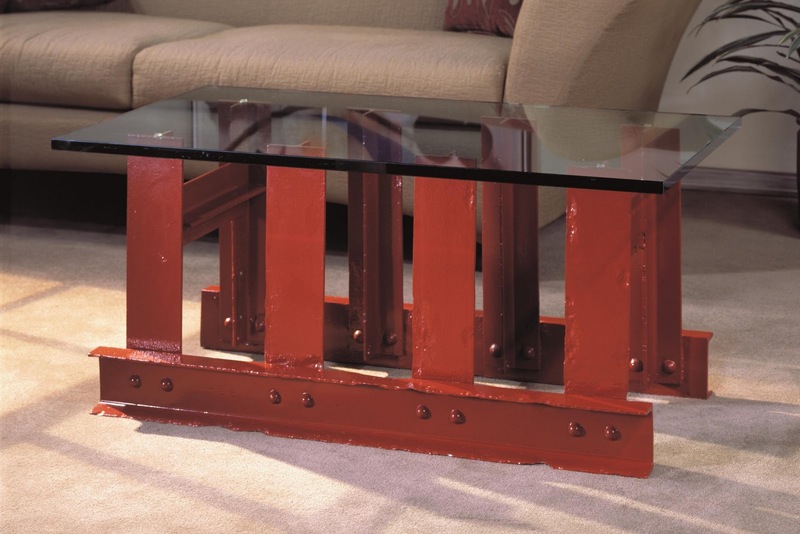 With this history in mind, we strive to remain true to the American spirit of the Golden Gate Bridge by ensuring that all additional materials used in our designs are sourced from within the United States. 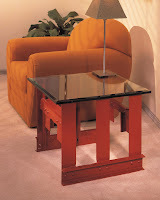 For instance, the glass used for our table tops comes from Toledo, OH, and it is cut and polished in Fairfield, CA. This American sourced glass is three times more costly than glass imported from overseas. The new steel that is used as cross-members in some of our lighter designs is forged in Salt Lake City, UT. The metal identification plate on each furniture piece is sourced from Los Angeles, and it is laser cut in San Francisco, CA. Even the small rubber pads that are used to cushion the glass table tops are an American made product that comes from St. Paul, MN. Our designs are then all hand-crafted in small batches using local tradespeople in San Francisco. The very nature of our product is ecofriendly, as it is a repurposing of steel that was created for one use, yet we are using it in a creative way for something else. 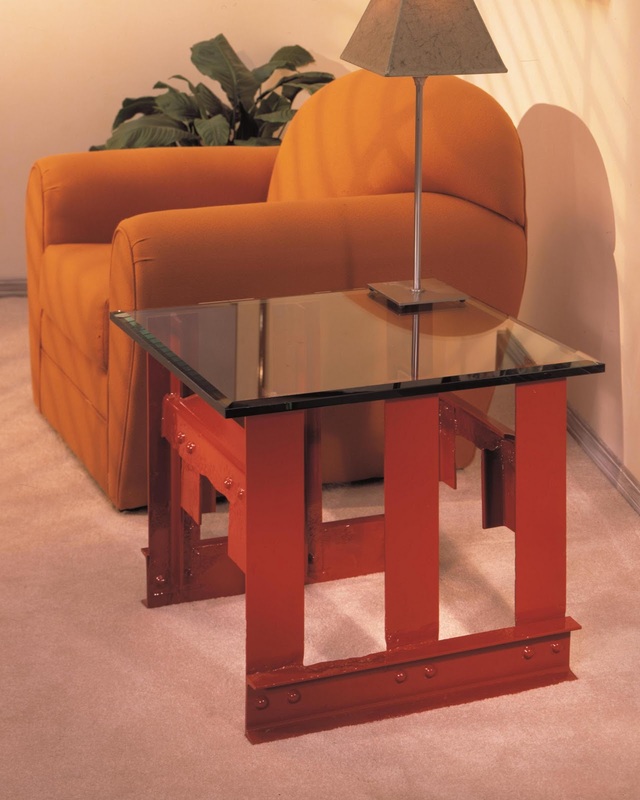 We try to build upon this further by creating a sustainable product using ecofriendly practices in our fabrication. In the production of our designs, we strive to use every piece that is cut from the handrail sections, so that no steel goes to waste. Furthermore, we use acrylic paint because oil based paint is created using a hydrocarbon based solvent that produces toxic vapors during application and clean up. This is the same ecofriendly paint used by the Golden Gate Bridge Authority on the bridge itself, and we even obtain it from the same source. All these factors combine to create a product that is more than a simple piece of furniture. It is a unique piece of art and a piece of history. It is a connection to a memory or a feeling. We hear many wonderful stories from people who have a personal bond to the bridge and San Francisco… ranging from being a native to the area and now living in another part of the world, to having a relative who worked on the bridge or crossed it on opening day… from receiving a wedding proposal on the bridge, to sailing out underneath it on their honeymoon. 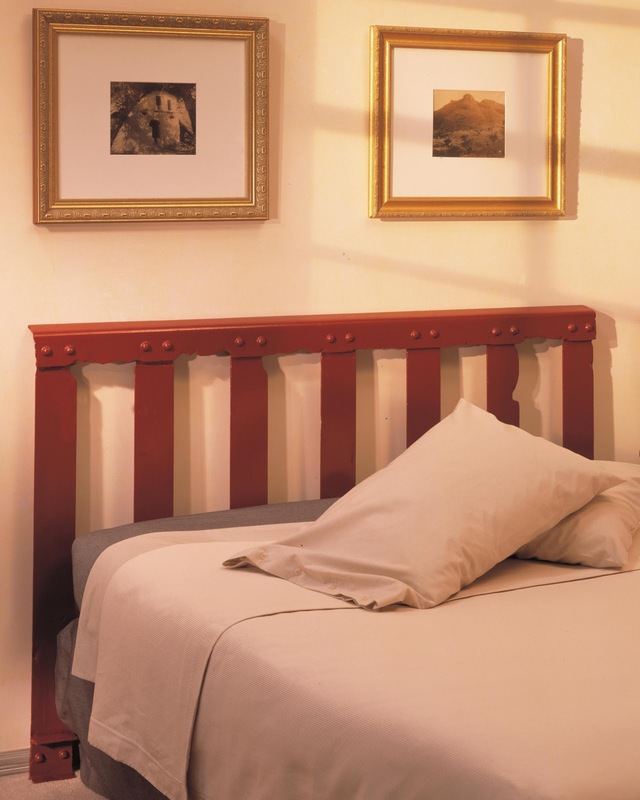 The Golden Gate Bridge has many significant meanings to many people, and our designs allow them to bring a tangible piece of that meaning into their homes to enjoy for years to come.